32 oz. of roasted pistachios, red dyed pistachios. 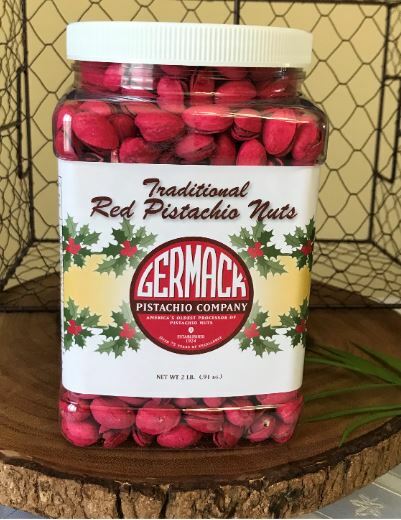 A festive red during the holidays or a fun treat for any time of year, these pistachios are a wonderful and timeless gift. 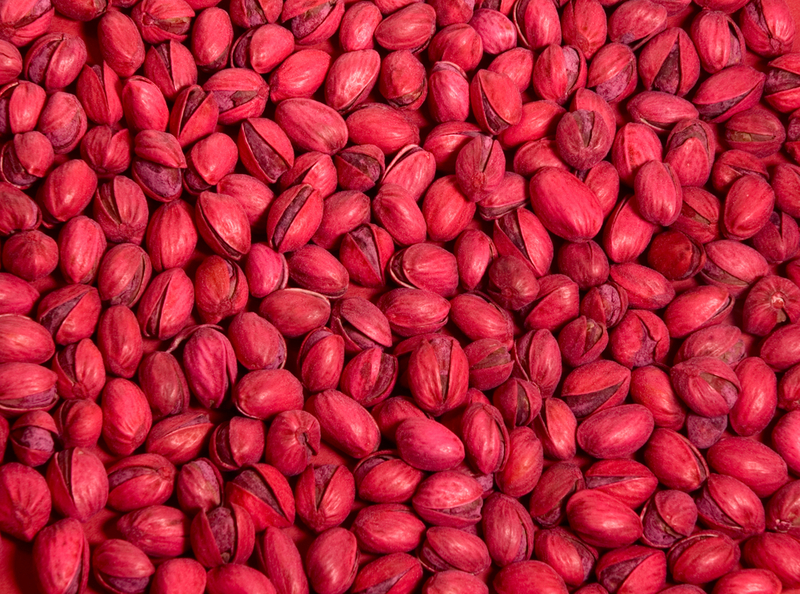 Many years ago, the Germack slogan for red pistachios was "to taste red lip pistachios is to crave more". We still agree! These taste just like the uncolored pistachios, super fresh with a touch of salt. We dye our pistachios in-house with a bit of food coloring - a Germack technique. Packaged in a resealable shatterproof gift jar.